The Brazilian Computer Emergency Reponse Team, CERT.br, has one possible solution: animated videos from antispam.br. So far they’ve got a pair. Navegar e Preciso explains how the Internet works, and goes as far as firewalls. Os Invasores explains viruses, trojan horses, worms, bots, and spyware (keylogger and screenlogger). Both videos are in Portuguese, but it’s pretty easy to follow what’s going on. Spanish translations are already in progress, and other languages will probably follow. Unfortunately, I couldn’t watch these videos in Pittsburgh, because the hotel Internet “high speed” connection was so slow. Ironic, isn’t it? The most innovative approach to user education I’ve seen lately comes from Brazil, and back in the U.S. of A. there’s difficulty finding fast enough bandwidth to watch it. 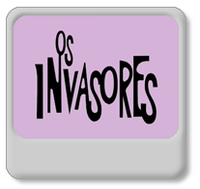 At the moment I’m elsewhere on a cable connection, which works, although the larger version of Os Invasores (22.4Mb) takes several minutes to get here. This entry was posted in Broadband, Education, Innovation, Malware and tagged malware Brazil CERT.br antispam.br virus worm trojan horse spyware bot screenlogger keylogger education broadband on October 4, 2007 by John S. Quarterman.